Planning your perfect event can be stressful and somewhat confusing with so many decisions to make. That is where the staff at Arnaldo’s comes in. From the moment you walk into the office for your first meeting until the moment you leave the venue at the end of your event, the staff is there to guide you and lend their expertise in order to make your event as worry free as possible. The staff will work one on one with you throughout the planning process to insure that every detail of your event has met your exact specifications. 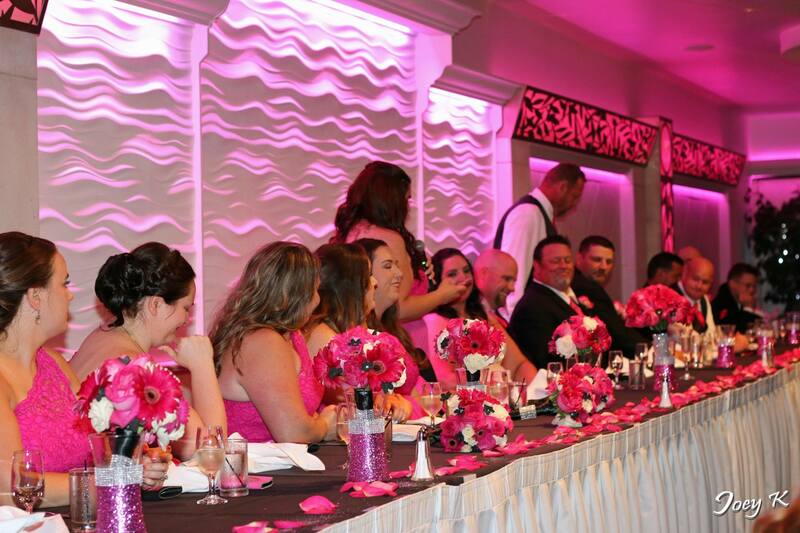 Arnaldo’s Banquet Center put you in touch with vendors who will help you simplify your event. Arnaldo’s is a family business, therefore you will always see members of the Fracassa family working in the banquet hall. Whether it is Arnaldo and Elda themselves, their children, or their grandchildren, family members are always present to oversee each event. The ideas of hard work and strong family values have been passed down from generation to generation, this is what makes Arnaldo’s unique. Every customer and guest that walks through the doors of Arnaldo’s Banquet Center is treated as if they are part of the Fracassa family. Why Choose Arnaldo’s Banquet Center? Arnaldo’s Banquet Center is a well established family owned and operated business. The Fracassa family has devoted their lives to running Arnaldo’s with an attitude of excellence for over 30 years with over 35 years of catering experience. We enjoy what we do and it shows in the personal attention we dedicate to every event. Our award winning food is full of flavor and is prepared with the utmost care and attention to detail. Food is our passion! We ensure your meal is made in house from scratch with fresh quality ingredients sure to please your palate. Our well appointed spaces offer marble and granite inlaid dance floors, designer twinkle lit ceilings, built-in programable custom colored lighting, lit bars, flat screens and more. Our recently updated bar packages offer quality brands and experienced bartenders at exceptionally reasonable rates. We are confident that when compared to others, our bar packages offer more for your money. Sharing is a good thing, but not when it comes to venues. When you book your event at Arnaldo’s, your guests will enjoy completely private entrances, bars and restrooms. Your special day is all about you! Don’t be fooled by our award winning food and beautiful facility. Arnaldo’s offers quality food and impeccable service at very reasonable rates with no hidden fees. We don’t just offer more for less than you imagined, we also offer better. You will find better quality, better brands, better choices and more at Arnaldo’s Banquet Center.